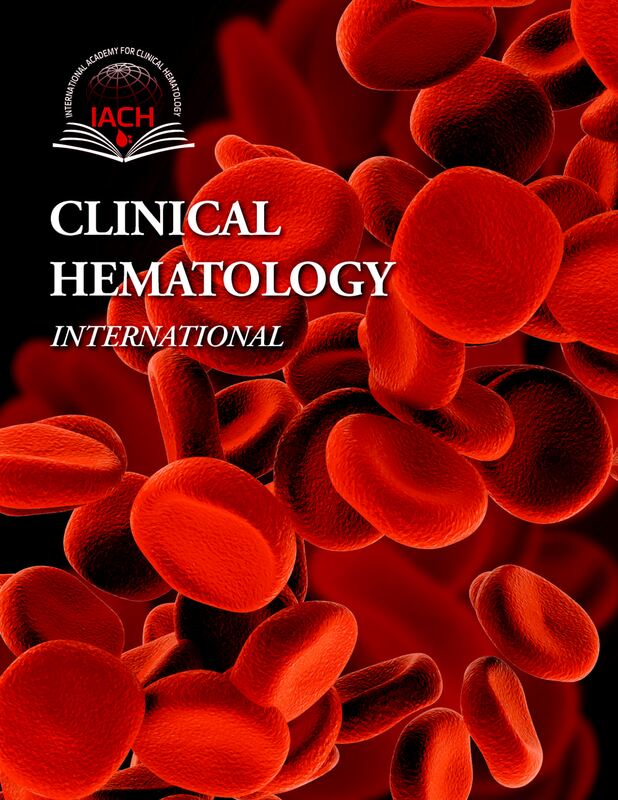 Clinical Hematology International is the official journal of the International Academy for Clinical Hematology (IACH). Publishing services are provided by Atlantis Press on behalf of IACH which owns the copyright to the journal. Peer review is under the responsibility of IACH. Clinical Hematology International is an open access journal, i.e. all articles are immediately and permanently free to read, download, copy & distribute. The journal is published under the CC BY-NC 4.0 user license which defines the permitted 3rd-party reuse of its articles. Publication in this journal is free of charge for Authors. All open access publication fees are subsidized by the International Academy for Clinical Hematology (IACH). Note that this is a promotional offer which applies to all papers submitted before 31 December 2019. No articles published yet. Clinical Hematology International is a new journal which is expected to publish its first issue in March 2019. Latest articles will be added later.